I have known Kristen for awhile through our horses, and I did some engagement pictures for her and her then-fiance, Josh. It was such an honor to photograph their wedding last month. 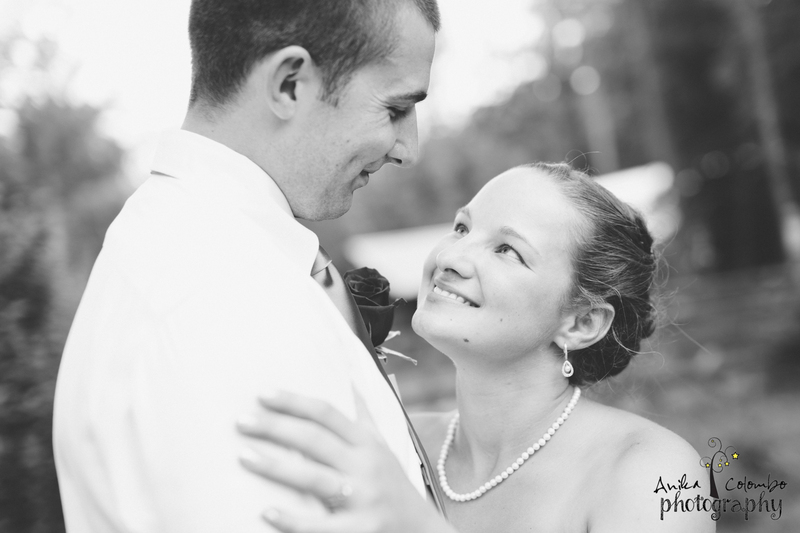 They chose to get married at her parent’s home in Ashland,Virginia. It was a beautiful setting and they got married underneath a breathtaking archway that her father built, surrounded by trees, and all their loved ones, and their horses in the barn and pasture right behind them. 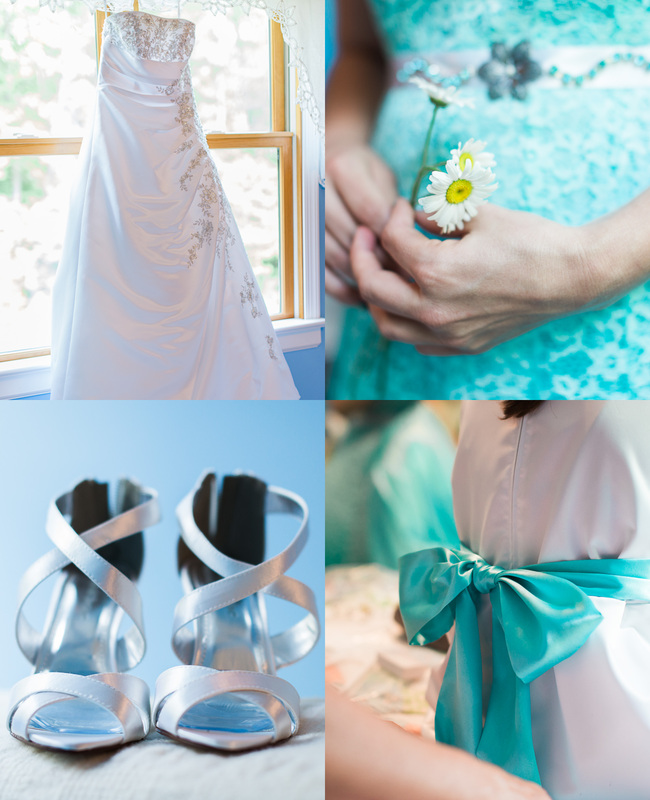 The wedding color was a pretty aqua, and a lot of the details were homemade, DIY. I love seeing the visions people have come to life for the final product. I also thought it was so cool that she used freshly picked flowers from the yard to put in her hair. I always get a picture of the groom’s reaction as he is watching his bride walk down the aisle for the first time. I love watching their face, and I love watching the emotion flicker across. The ceremony was beautiful (and HOT!) and Kristen, of course, had to have a few photos with her horses. The horses had bowties. BOW TIES. HORSE BOW TIES. Ahhhhh. I wish Kristen and Josh the best. 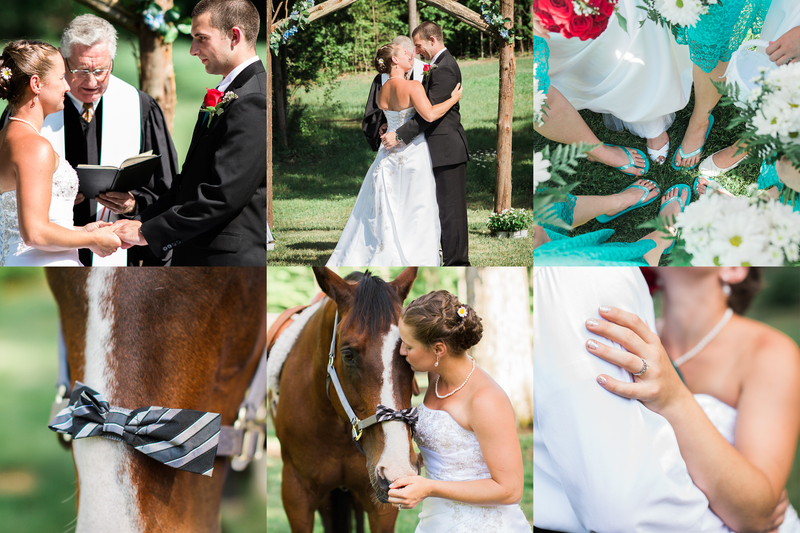 Thank you so much for choosing me to photograph your special day!